I know it’s wrong, but I am absolutely in love with Diners, Drive-In’s and Dives. In case you are unfamiliar with this trashy food TV, a chap called Guy hot-tails it round the states in a fancy car with his sunglasses perched annoyingly on the back of his head. He visits small town diners and restaurants and eats meals which contain a months worth of red meat in one go. Anyhoo, a couple of weeks ago I was watching ‘Triple D’ (as us addicts like to call it) and a diner owner was whipping up a batch of home made chorizo. I had a lightbulb moment. I love chorizo, and I love making things, so why not have a go at making my own chorizo? I needed a starting point with regard to the meat / fat ratio so consulted my dear friend Google and came up with a load of recipes. This one from BBC Food seemed a good starting point and uses pork shoulder and pork back fat. I knew that the lovely ladies at Red Bank Farm would be able to help on the pork front. Based in Newton le Willows almost all of the meat they sell they have also reared themselves. I tweeted owner Nicola who asked what I needed and said it would be waiting for me. Now that’s what I call service! And so it was, last Saturday, that we braved the snow to collect the meat and fat from the farm which was, ironically, the most accessible place that day. The tractor had been out clearing the lane and the car park to ensure that it was business as usual. 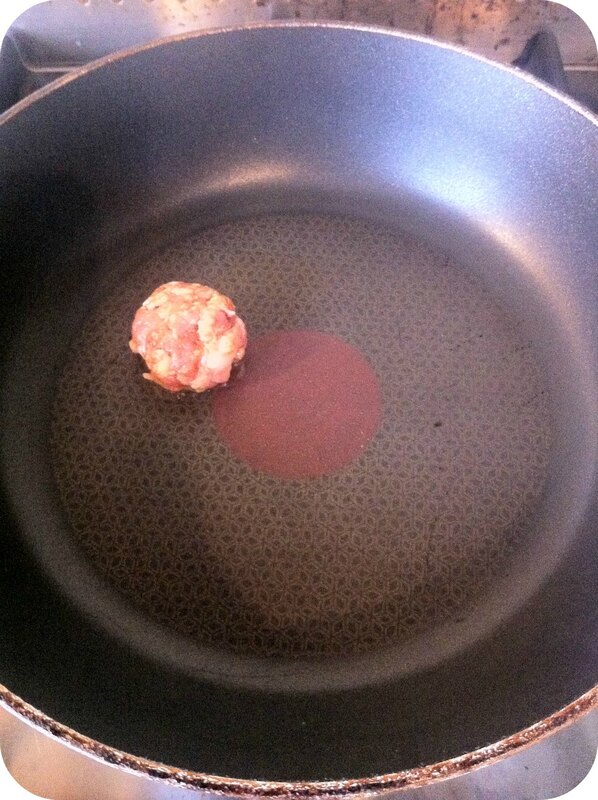 I should point out, I was never going to attempt to make actual sausages. I have no sausage maker and no room for any more gadgets. So this was going to be spiced meat which I could shape into patties. So my starting point was 1kg of minced pork shoulder and about 200g of minced pork back fat. I started with the shallot and garlic in a big bowl and added the meat and fat and combined it all really well. At this point I realised it was going to get messy and put on some disposable gloves! I mixed it all in and then fried a bit off to have a taste. It wasn’t spicy enough (I like my chorizo ‘picante’ when I buy it) so added more chilli, paprika and some turmeric. This is when my random emergency ingredient was whipped out of the cupboard and into the mix: Mr Vikkis Chipotle and Tamarind chutney! A couple of tablespoons later, and the mix was tasting much better! I split the mix, chucked four lots in the freezer for future use and got cooking. That night, I made paella with prawns, squid, scallops and the chorizo. The next day, it was fried off and then put in the slow cooker with some more squid and a tomato sauce to make a stew. Delicious! My favourite chorizo to buy is from Levanter Foods – if you are at markets and festivals in the north west I recommend you check them out. They certainly have nothing to worry about with my efforts! When I make it again I will make the effort to get some smoky paprika and some chipotle. Also, it wasn’t the lovely red colour I had been hoping. The BBC recipe had a couple of tablespoons of red wine in it. I didn’t have in so I left it out. I wonder if that would have made a big difference to the taste and colour? If anyone out there has tried making chorizo, I’d love to hear about your experiences and any tips which you have. Please share your comments below.